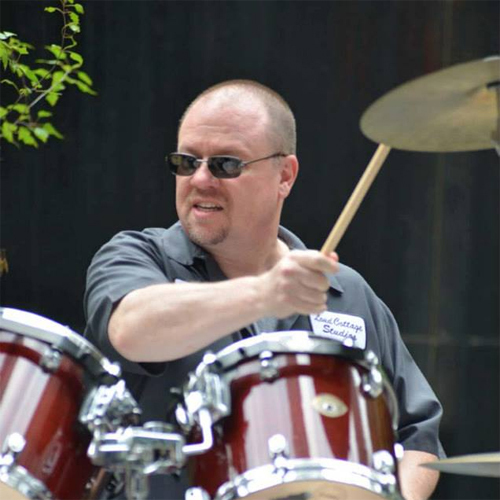 Paul Coady has been a regular on the Chicago rock-n-roll scene for over 20 years. Prior to his solo CDs, Paul released several recordings with the band Prairie Town. Since going solo with the release of 2009's "Quarter Mile," Paul has enjoyed critical success and steady interest. 2011's "Driftin' Years" expanded on this success. Paul likes to describe his writing as "straight-forward storytelling, backed up by a raucous bar-band." The songs range from agressive guitar rock to contemplative naratives, but they all come from a place of grounded honesty. The latest CD, "Our Father's Sons" features the hard work of rhythm section Rob Fore (Bass) and Joe Klapka (Drums), collectively known as The Edsel Bros. Paul (Guitar, Vocals, Harmonica) is proud to have Joe and Rob join him as he tells his stories. 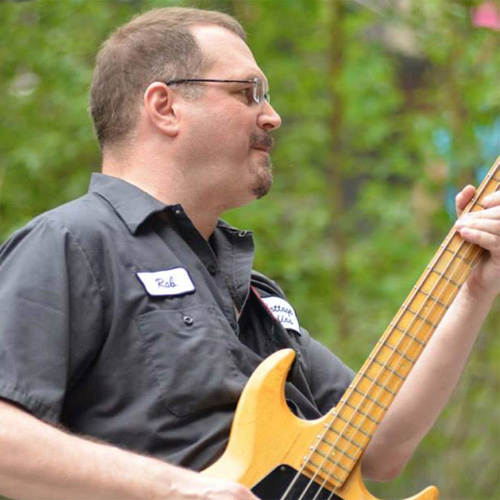 As a solo act and with The Edsel Bros., Paul has been honored to be selected to perform at several area festivals, including the Jefferson Park Arts and Music Festival (Jeff Fest), The International Pop Overthrow Festival (IPO), and Make Music Chicago. Paul's songs have been featured in the independent films of Chicago director Angel Abcede, along with intstrumental tracks Paul has created specifically for the films. Paul also produced a version of Ronny and the Daytonas' hit "Little GTO" for use in the Raybestos Brakes award-winning campaign for their give-away of a 1964 GTO. The videos featuring this version of the song garnered well over 150,000 downloads. Songs from both "Our Father's Sons" and "Driftin' Years" have been used several times on The Tony Kornheiser Show. Paul is also host of the Loudcottage Podcast, a discussion of current events and arts. From my first Paul Revere & the Raiders album when I was little kid to making albums of my own with The Edsel Brothers, I have been involved with music all my life. Raised in Arlington Heights, IL, the first band I was in was The Hungries. The Hungries remained merely some loud fun for my friends and I until after college when we decided to take it seriously. With me on bass guitar (a 1979 Gibson Grabber) and Joe Klapka as my drummer, the Hungries were a pop/rock band that played together for nearly 15 years in many of Chicagos local clubs, as well as churning out 2 albums of our own (Everything All The Time, and Have Yourself A Very Larry Xmas). During that time, I also met Paul Coady and his wife, songwriter Kathy Greenholdt. In 2003, I began to play acoustic bass with Kathy and Paul, and then Joe joined up. Named first as Kathys backing band, The Edsel Brothers (Paul, Joe and I) continued to play on as Paul Coady & The Edsel Brothers after Kathy decided to change musical directions. 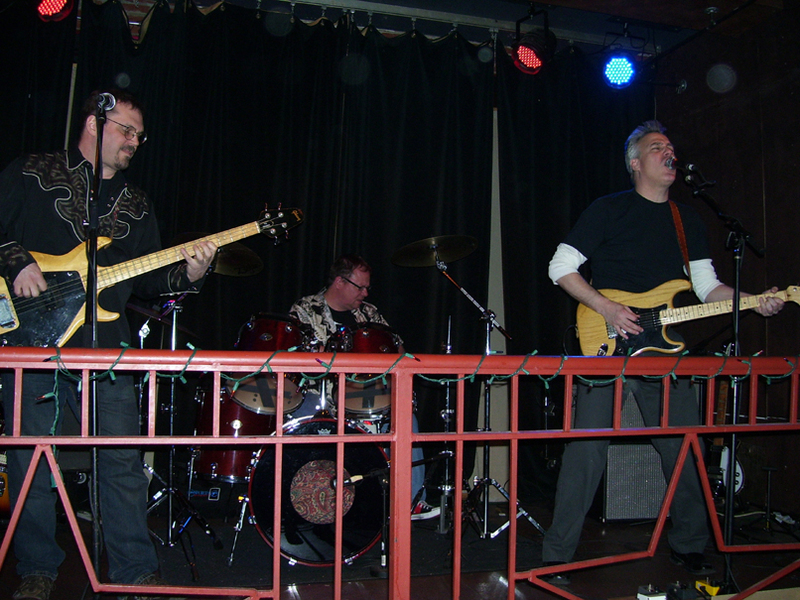 Since 2009, I've been rocking out with Paul Coady & The Edsel Brothers in bars and clubs around Chicago, and recording albums that rock out as well. From The Hungries to The Edsel Brothers, I am never more happy than when I am out playing with these friends and bandmates. ROCK ON! Joe also spent about 15 years in the local band, The Hungries. He and Rob became a formidable rhythm section, bringing nuance and power to a variety of songs. Not content to just sit behind the kit, Joe threw himself into a variety of music classes at The Old Town School of Folk Music, learning musical theory and several instruments. Memorable moments included thundering out the bass with a group focusing on the music of The Ramones, and stepping up to the mic and singing lead and playing guitar on the music of T-Rex. In addition to music, Joe has an encyclopedic knowledge of sketch comedy. C'mon out to a show and try to trip him up on some trivia.